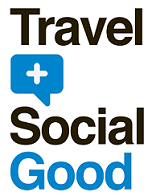 This Thursday Feb 20th I’ll be helping to host the first Travel+SocialGood event since our conference in September 2013. Partnering with Social Media Week NYC, T+SG will host a panel discussion called: “Transparency in Travel: Who Do Consumers Trust? The Brand, The Media or The Influencer?”. Moderated by Michaela Guzy, Editor-In-Chief of Oh the People You Meet, our panel will include top travel professionals sharing their thoughts on this very relevant topic. Our Panelists include travel personality Lee Abbamonte, Emily Garvey, Director of Global Digital Marketing at Starwood Hotels & Resorts Worldwide and AFAR Magazine Co-Founder Joe Diaz. Join us at WeWork, hosted by DevShop for a night of awesome discussion with like-minded individuals as we navigate the nexus of travel, technology and social good. Seating is limited and on a first-come, first-serve basis.